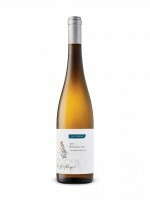 CSV Riesling comes from a tight selection from two old blocks, planted in 1974 and 1978 at the Cave Spring Vineyard. Thanks to the warm 2016 growing conditions, the newly released CSV is one of the most integrated and harmonious expressions seen at this early stage of development. It’s remarkably open and direct in its youth thanks to a terrifically juicy personality and good length. That immediacy makes it a joy to drink now, but it will hold through 2026 and gain richness and complexity as it matures. As is the case for all of Cave Spring’s Rieslings, this is made in a drier style than in the past, which adds greatly to the appeal. It’s off-dry, with brightness, purity and flavour that delivers the delicious nature of the variety. 820 cases. Highly Recommended.